When you lie to yourself, and give yourself all kinds of justifications about why you should remain in a relationship with another person that is far from satisfying, each time you are literally stealing another shred of self worth that you have within. Whether you are in a relationship that has just begun or one that began decades ago, if you are not satisfied with the behaviors you are shown, simply change your response to those behaviors, and a reaction will result. Your partner’s reaction will have to change to reflect the changes in your attitudes, your guidelines and boundaries. All you can change is you. All you can control and manipulate< is your own choice. You can react to what you are shown, or you can leave the source of discomfort in your life. you choose to respond in a new, more highly evolved fashion. When you love another, your communication of self-love is what allows the love to flow between you. Not a wall, not a game, not a punishment, not lashing out, not carrying on hysterically, but only love of self communicates what you see, feel, or observe to be beyond the boundary of what you will tolerate. When you whine, beg, plead, cry, yell, scream, throw, hit, or lash out, your actions do not deserve the respect you ultimately are entitled to. But when you openly and calmly share anything that displeases you, anything that causes you to feel unvalued or unappreciated, then you have genuine communication. Then you have friendship, understanding, respect for each other’s feelings, and the integrity to preserve the good you have found. Build a new bridge of understanding over the turbulent waters of confusion and pain. Allow past hurts and pains to flow out of your system and out of the dynamic of your relationship by sharing truth honestly, deeply, and purely When you both do that, truth and understanding will replace chaos and pain. Melting the walls that stand between you Much of the discord couples experience comes from fear of exposing their true feelings – their love, fears, doubts, insecurities – their true selves. So they hide their truth behind ego, pride, defense mechanisms, stories, lies, and games instead of communicating authentically. When you do this, it robs you of your own solid foundation, your feelings of strong self-worth, self-respect, and high self-esteem. When you are too afraid to expose the real you, then you play the games that destroy a genuine healthy relationship or romantic friendship. But as you heal and realize there is nothing so terrible to hide, you then begin to feel more secure to share your truth. As you do this, you reinforce your self-worth and, at the same time, you reinforce the relationship’s foundation with truth. When two people love, they have a common ground from which to build a new foundation based on trust, mutual respect, and mutual understanding. Yet, there must be compromise. One cannot yield all the time. Satisfaction of needs, wants, requests, and desires must be reciprocal. Think about the word “relationship.” Relate your concerns and feelings on the ship of your making, so you may travel together on a sea of understanding. If you begin a relationship with a pre-set agenda, you will find that you are not being your real self. You act the way you think the other wants you to act. You toss aside many of your goals, interests, dreams, and aspirations because you think that doing so will allow you to “get” this man or this woman. And in that process you steal the foundation of your truth, of your core, from your very self, and you prevent the other from knowing your inner beauty. Like so many people, you may try to be perfect at the beginning of a relationship. You try to look your best, act your best, feel your best. But you leave out the most important ingredient: the real you, which is the best you. Like so many people, you think that if you showed the real you, your potential partner would surely run, leaving skid marks on the way. What is so wrong or terrible with the real you? Perfection is not exciting. It is boring. If you always try to be perfect, you create discomfort with the other person and actually prevent the growth of true friendship and intimacy. Where are her moods? Doesn’t he ever get angry? Does she always look so perfect? Doesn’t he ever have a bad day? Why can’t she show me she gets mad? Doesn’t he have any real feelings? Is she always so intellectual? Does he really have a heart? Where is it? How can I show my real self if he or she doesn’t do it too? you can develop an honest and meaningful friendship or romance with one another. You may know that many times people will test others to see what they will put up with, what they will tolerate. Testers want to find out how much they can get away with. They also want to know whether the testees have enough respect and regard for themselves to put the testers in their place if they cross the line. wants to see that you have guts, that you are not a spineless wimp, that you do have self-respect, that you will only tolerate being treated with common decency and respect. If others say something to you that strikes a chord within, and you don’t like the feelings you are getting as a result of their words or actions, you must speak up and say so. Now, You can say it gently and graciously, but make sure that it is said. By speaking up, you honor and preserve your self-esteem, your personal dignity. Others then know how you feel as a result of what they did or said, and they know what you are requesting of them; it then becomes their choice as to whether they will honor your personal boundaries. Each person is entitled to all of his or her own beliefs, opinions, preferences, joys, and individuality. You do not own others; they are not your property. You share your time or your life together. As you learned in nursery school, sharing is giving; it is not taking, and it is not demanding that another does it all your way. 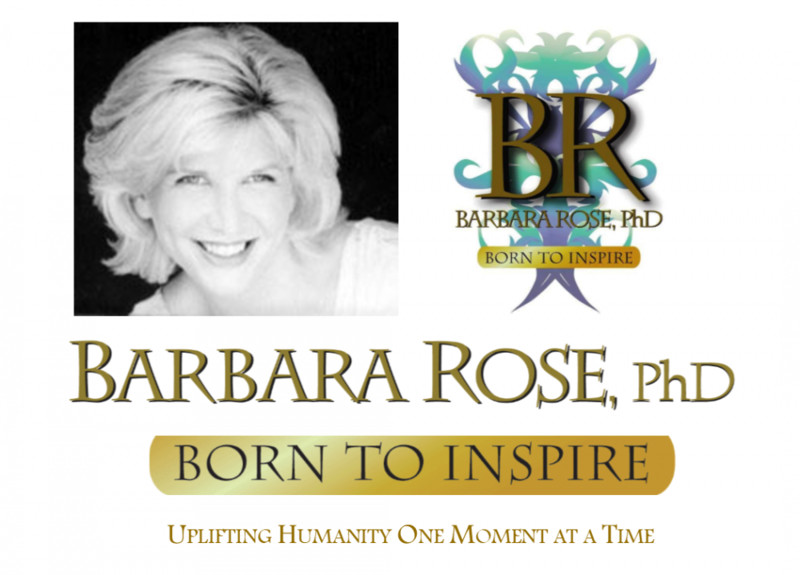 © Copyright 2001, 2003, 2011 by Barbara Rose, PhD All Rights Reserved. Excerpt re-printed with permission from the book Individual Power: Reclaiming Your Core, Your Truth and Your Life. Published by The Rose Group (2003) ISBN: 097414570X.